Real Estate on Costa Rica's Pacific Coast. With the official MLS of the Brokers Board of Costa Rica (CCCBR and Propertyshelf) verifying all for sale properties, it makes looking for your dream home, condo, villa, lot or acreage in Costa Rica safer and easier. There are a wide range of Costa Rica Properties for Sale and for Rent. Whether you are looking to acquire Commercial or Residential Properties in this scenic area of Guanacaste, you are sure to find a piece of paradise in Flamingo. The first thing you notice as you arrive in Costa Rica is that it reminds you of North America in the late ‘60’s and early ‘70’s. The country and the people have maintained that sense of innocence that we lost somewhere in the 1980’s. The average life span for the population is 82, which speaks volumes about the quality of the public and private health care system. The area has recently become a Mecca for cosmetic dentistry and plastic surgery, because of first class results and low costs. Most Doctors have been trained in North America, but price their services for the local economy. Living and Retirement in Costa Rica The foreign community has increased rapidly, representing close to 10% of the total population. Ask yourself, what do they know that you don't? Maybe you should be considering Costa Rica for an investment or place to move as well!" 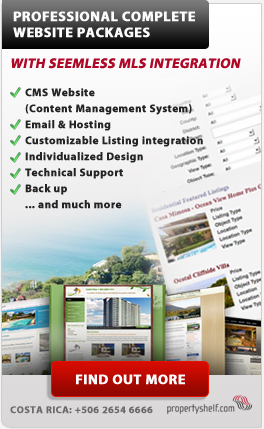 Search Residential and Commercial for Rent and for Sale Properties throughout Costa Rica. All Properties are verified with the national registry for accuracy. "With the slowdown in the global economy; the recent sellers market has turned in your favor to a strong buyers market"
Find your the perfect property in Flamingo or surroundings. Costa Rica has great vacation rental opportunities. That said before considering investing in Real Estate for personal and retirement purposes, it is highly recommended to first rent to get familiar with the area before deciding to move there.